Every year hundreds of new cookbooks are unleashed on the unsuspecting public, causing mayhem with mysterious ingredients and panic attacks when you realize your bookcase has reached critical mass. So you dig your way out of last year’s fads, wiping away a layer of dust, realizing that somehow you own a copy of the shittiest cookbook in America: In the Kitchen with Kris Kardashian. Under the groaning weight of useless cookbooks, you vow never again to be dazzled by the shiny cookbook covers or the even shinier celebrities on the covers. So before you head off to buy some big-toothed-smug-looking-scuzzy-grinning-celebrity-trash-cookbook, let me help save you some money and embarrassment. Below are my top picks for cookbooks that highlight Latino cuisine and culture. Some aren’t entirely “new” but they are worth their weight in saffron. In addition to this list, it’s a good idea to maintain a small library of culinary classics, such as those by Ferran Adrià, Diana Kennedy, and Julia Child. Even if you don’t cook from those books, reading them can teach you a lot about technique. Published in Spring, this cookbook recounts artist Marcella’s journey and adventures through Latin America, delving deep into the food and cultures of Mexico, Peurto Rico, Ecuador, Peru, and Colombia. The author has fully illustrated the book with her own brightly painted watercolor renderings. It’s like reading a personal travel journal. Celebrity Chef Stupak was once known for his pastry skills with a modern flare until he fell in love with Mexican food and tacos. He now has three very successful Mexican restaurants in New York City and has taken the taco to the next level. At a recent cookbook launch in Los Angeles, Chef Stupak dished out tacos such as blood sausage with mint salsa verde, skate tempura with lime mayonnaise, short rib pastrami with mustard seed salsa and a chocolate taco that had everyone talking. It may not be what you’re comfortable with, but his take on tacos is worth a look, so be adventurous. 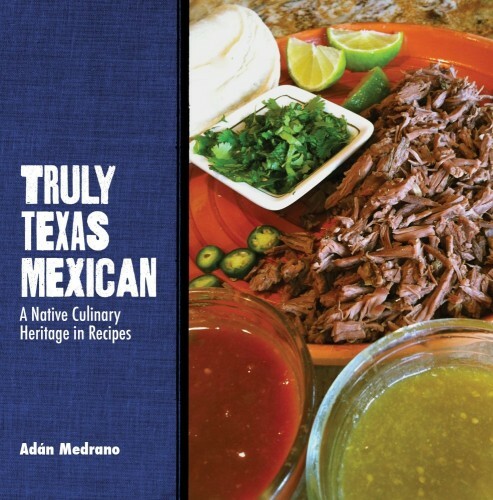 This cookbook stands at the crossroads of culture and cuisine, detailing the history of the people that made Texas their home: Native Americans and Mexicans. More than cheesy “Tex-Mex,” Chef Medrano sets out to explain the history of foods like barbacoa and enchiladas, which appeals to the culinary historian in us all, then explaining the uses of aromatics or the delightful variations of sopes and gorditas. Like a true academic, his recipes are detailed and expertly written. Sure the photos could use some work, but the best part of this cookbook is that his recipes actually work. If you’re curious about Texas-Mexican food, this is one book you won’t want to miss. If you follow food blogs, then odds are you’ve seen these gals around the Internet, or even on television. Star Food Bloggers, Yvette of Muy Bueno and Vianney of Sweet Life Bake, have joined forces in a new recipe book for Latin cocktails or those cocktails with a Latin Twist. This beautifully photographed book contains 97 recipes from 20 countries. 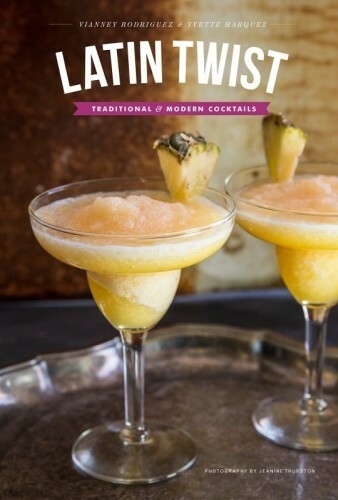 The cocktail recipes include traditional and original recipes for cocktails like the Brazilian Caipirinha to Chile’s fruity Borgoña, this book has something for everybody. Plus, it’s 5 o’clock somewhere. 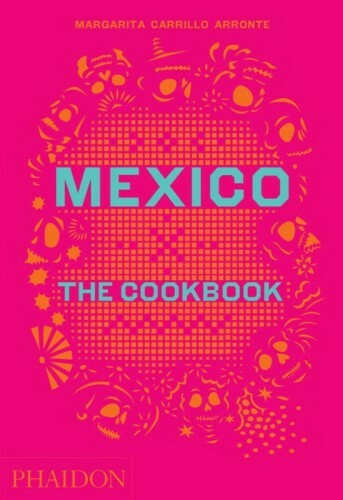 Yes, this cookbook is over a year old, but it is my absolute favorite Mexican cookbook. Phaidon Press has taken their mastery of visual art publication and applied it to food. The tome, part of a food series, is large with a bright pink papel picado cover and has over 700 recipes with over 200 of some of the most appetizing food photography- simple, clean yet manages to tell a story. The book does lack that familiar intro, usually filled with “how my abuela made it was” stories, but makes up for it in the recipes. Despite its size, it is one of my go-to books for new regional Mexican dishes. 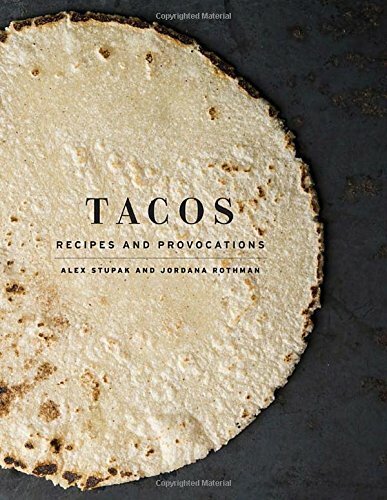 The book also has a few curated recipes from renowned chefs like José Andrés and Alex Stupak (see above). For something a tad newer, Phaidon released Peru: The Cookbook by Gastón Acurio earlier this year. The book is just as stunning and is loaded with Peruvian recipes worth cooking. With Cuba and The US finally on speaking terms, Cuba is starting to open up to us. 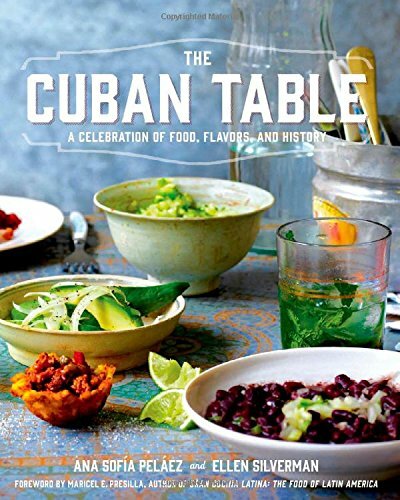 The culture, while not new to the U.S., maybe more thoroughly explored in this cookbook. Yes, it was nominated for a James Beard Award, and yes, it has gorgeous photography and some interesting history, but it’s a chance to explore a quasi-familiar cuisine and culture. It reminded me that we are neighbors, and we can share a table. 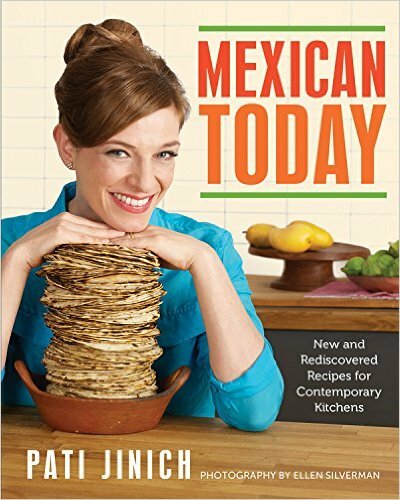 I’ve had Pati’s first cookbook, Pati’s Mexican Table: The Secrets of Real Mexican Home Cooking, in my collection for some time, but only recently started cooking from it…after I met her. She is the nicest comadre you’ll ever meet. She is ready to talk about anything with anyone, and her warm demeanor and sparkling personality is so damn infectious! We need more Pati’s in the world. So her first book is a great example of how I, and most people, actually cook at home, with particularly appealing dessert and libation chapters. Also, the book has a fascinating salad chapter and pleasantly surprising everyday vegetarian chapter. So with her new cookbook, she’ll raise the bar for contemporary home cooks. Pre-order today! Stay away from fad “Burrito CookBooks,” because you’ll end up donating it to the Salvation Army and some of those folks have already been through so much. Instead, hold onto recipes that yield guisados (slow cooked stews) that you can eat in a burrito, taco or simply on its own…maybe straight from the pot if no one is looking. And a 48-inch Professional Series Pro Grand Commercial Depth Dual Fuel Range. Just putting it out there.